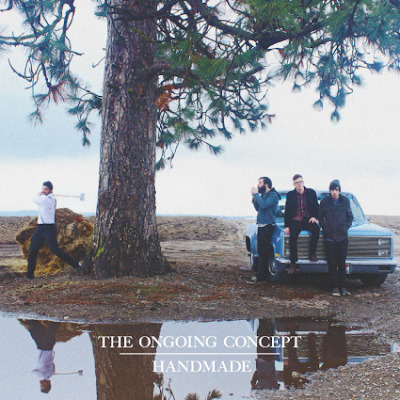 Before you go ahead and press play on the Ongoing Concept’s Handmade, it would be in your best interest to get your head right, because this album is a complete mindfuck. This is true sonic chaos, a complete and cacophonous smattering of screamo, rock, roots, folk, Americana, Southern rock and metal, or ‘Americana-core’ for short. Handmade isn’t a cute album title either; in addition to recording the album entirely in their house, making their own videos and album artwork, The Ongoing Concept went as far as to build their own instruments to play on the record. To say there is a lot happening on Handmade would be the understatement of the century; there’s some Every Time I Die influence (the spastic short but sweet “Trophy”), plucky front porch Americana that doesn’t seem out of place whatsoever (“Melody”), driving anthems fueled by caustic guitars (“Prisoner,” “Survivor”), bouncy borderline club bangers (“Unwanted”), Southern fried rock with a twist (“Soul”) and even some Top 40 radio aspirations (“Falling”). The band, this music, the pure ethos of Handmade is 100 percent legit. Another word to the wise – don’t do a bunch of drugs and listen to this record. Your head could very well literally explode.